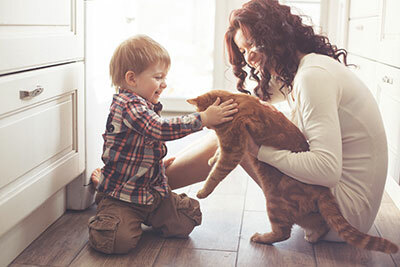 We know you love having your pet indoors, but sometimes little pets can make big messes! Pet Odors ae some of the worst we at Lone Star Carpet Care and Restoration encounter, but don’t worry… We handle pet odor removal daily! Of course we can remove stains left behind by your four-legged friends, but what you may not realize is that we can also get to the root of the problem. We go as deep as the stain does, completely deodorizing your home so that no lingering smells remain. How far this is from the truth becomes most evident in the case of pet stains. You'll scrub out the stain, then leave the area feeling like you've done a good job. Soon enough, you'll realize your problems are just starting – the odor will become apparent, leaving you at a loss when trying to figure out what to do. If you've had this happen to you already, you probably tried applying some deodorant or perfume, only to find out that this made the situation go from bad to worse. The mechanics behind why pet odor is so persistent aren't difficult to understand: there aren't many substances less pleasant to our nostrils than what our pets sometimes leave behind for us in the worst places. The particles make their way deep into the fabric, becoming hard to reach through normal means and even harder to fully eliminate. There's also the issue of time: the longer you leave a pet stain unattended by a professional cleaner, the greater the risk that the fabric will end up suffering permanent damage. Even waiting a day or two to call us can limit our options, but it's still better than ignoring the issue and hoping it will go away. When we get to the scene, we'll first establish the thickness of the fabric as well as the material. If you've had some unpleasant experiences with pet stains, you'll know that odor sticks around incredibly long in upholstery or mattresses – much longer than on clothes or even carpets. This is partially because upholstery is harder to clean in general, but also because it's so much thicker, giving the odor-carrying particles plenty of room to settle down.There are a few different modes of operation depending on the severity and scope of the incident, as well as the amount of time that passed since it happened. We might start things off with a hot water extraction, especially if there's staining present. Our bread and butter will be a chemical left on the affected area that penetrates through layers of fabric and eliminates the causes of odor. In the cases of odor that's hard to pinpoint, we might need to turn to ultraviolet lighting to find out which parts of the fabric have been affected. Once the odor's gone, the upholstery or carpet will be deodorized, replacing the bad smell with a pleasant one. 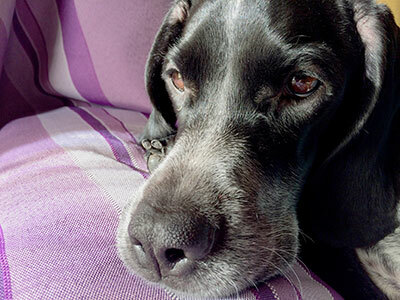 Before you know it, the duress you've endured because of pet odor will be a distant memory.